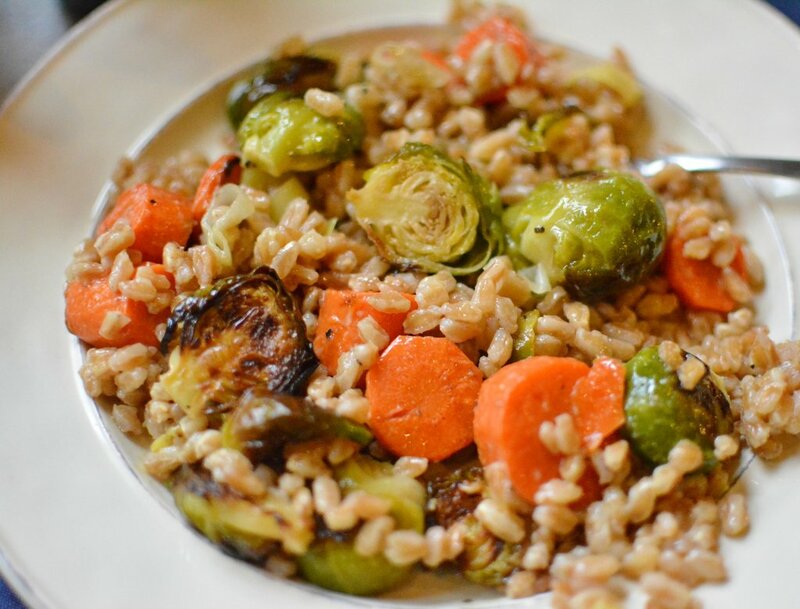 We’ll get back to the farro in a minute but one great thing about the cold weather – it’s brussels sprouts season! 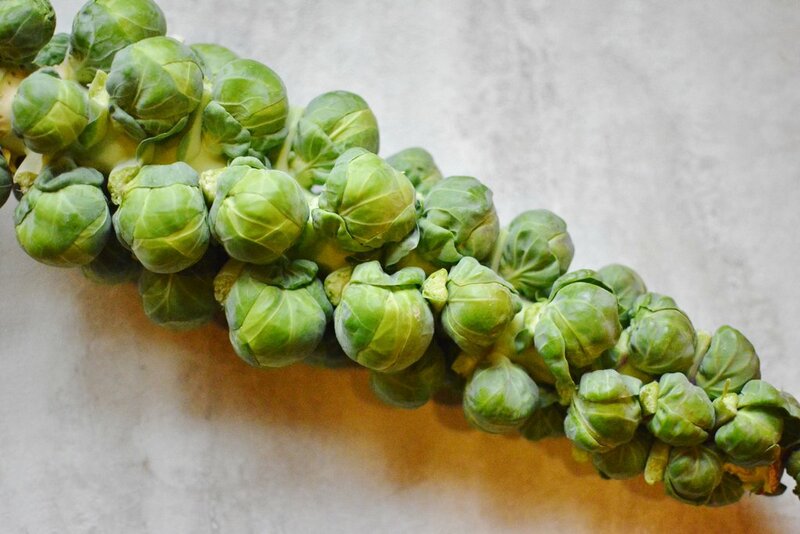 And, yes, it is brusselS (with an S on the end) sprouts. It’s kinda hard to say actually. So many S’s. These little cabbage-like veggies are super good for you but can sometimes taste bitter. There are a few ways to avoid bitter sprouts though. First, it’s important to get them when they are in season. 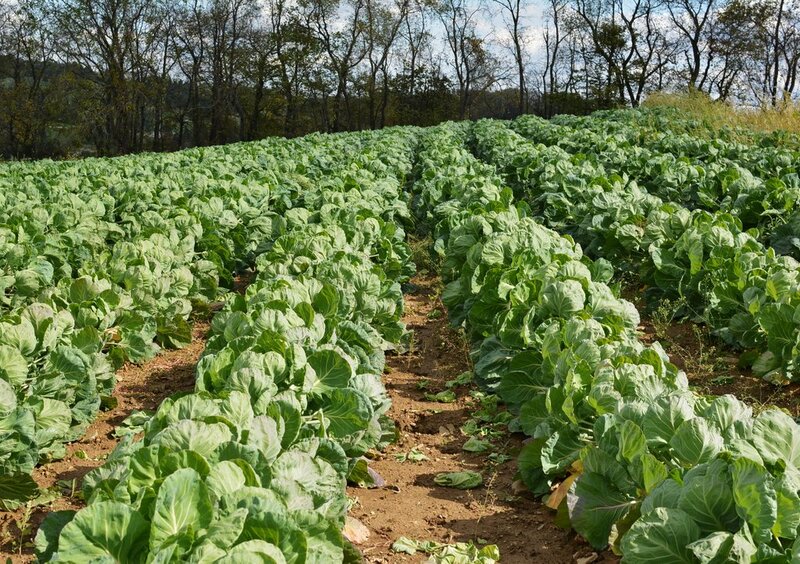 The cooler weather concentrates the sugar content of the vegetable. 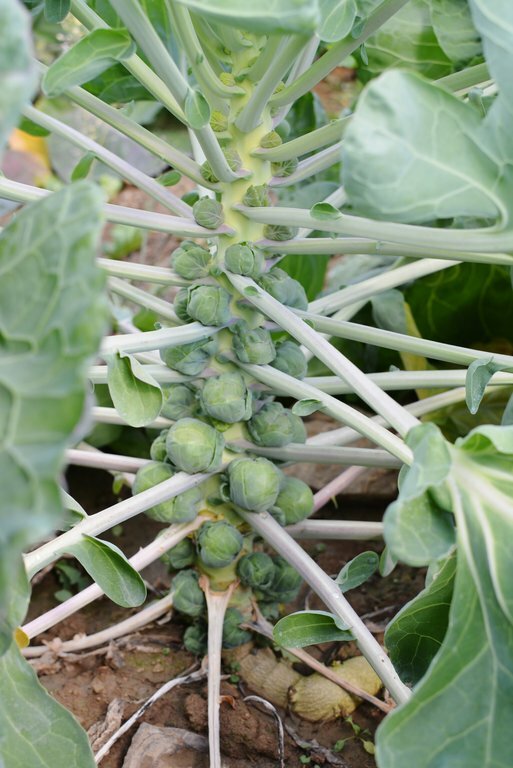 Sprouts that mature during hot weather will taste bitter. Slicing the sprouts before cooking will also cut the bitterness because it will help facilitate the release of the acidic compound, thiocyanates, found in the sprouts. My favorite way to cook sprouts is to roast them. It’s the easiest, least messy and the outer leaves get that nice crispy, charred flavor. Oh and what’s farro? 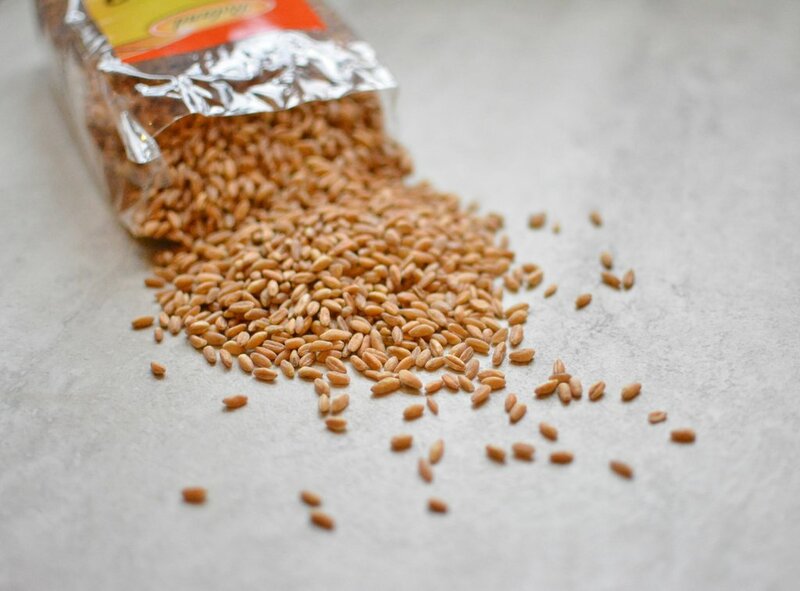 It’s a hearty grain from ancient Rome that’s high in fiber and a good source of iron and protein. It’s prepared similarly to rice – add liquid, bring to a boil and then simmer. It has a kind of nutty flavor and a bit more texture than rice. The Honey-Leek dressing/sauce is really optional. But it gives it some extra flavor and the sweetness of the honey helps balance any remaining bitterness from the brussels sprouts. Makes a great side dish or a full meal. You can also add a protein if you want – I recommend some shredded rotisserie chicken! 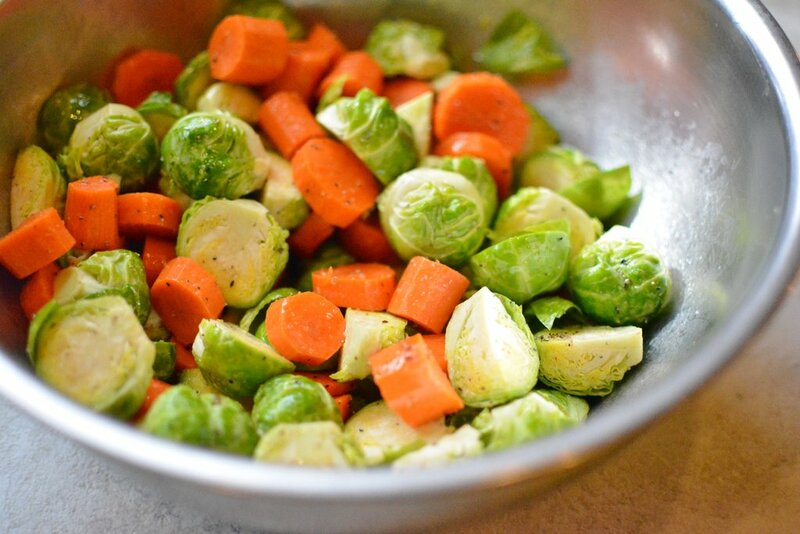 Preheat oven to 400 degrees F. Toss brussels sprouts and carrots with olive oil, salt and black pepper. 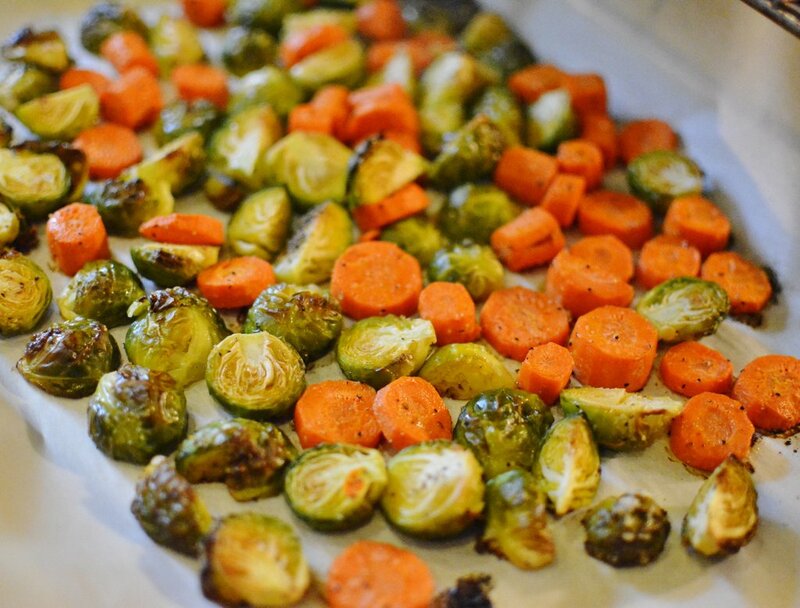 On parchment lined baking sheet, spread brussels sprouts and carrots in a single layer. Roast for 30 minutes, or until tender and slightly browned. Rinse farro and place in a small saucepan. Add two cups stock and cover with lid. Bring to a boil, reduce heat to medium-low and simmer for 20-30 minutes, or until liquid is absorbed and farro is tender. 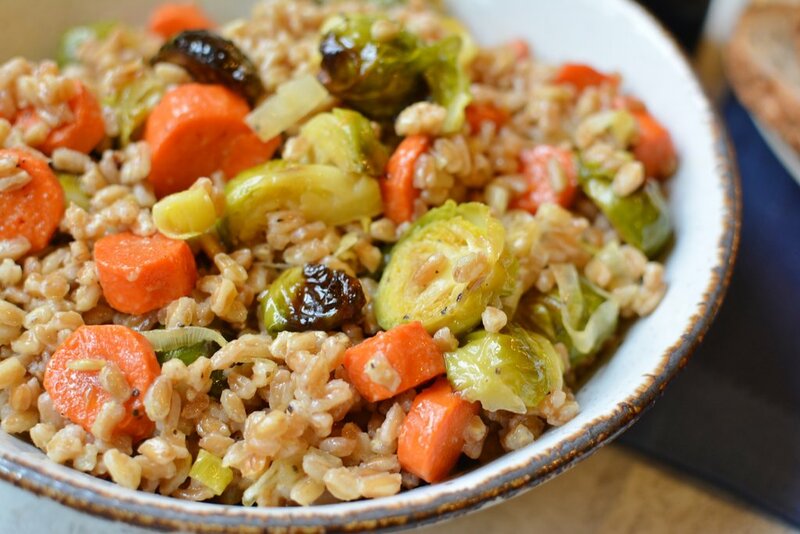 Combine roasted brussels sprouts and carrots with cooked farro in large bowl. 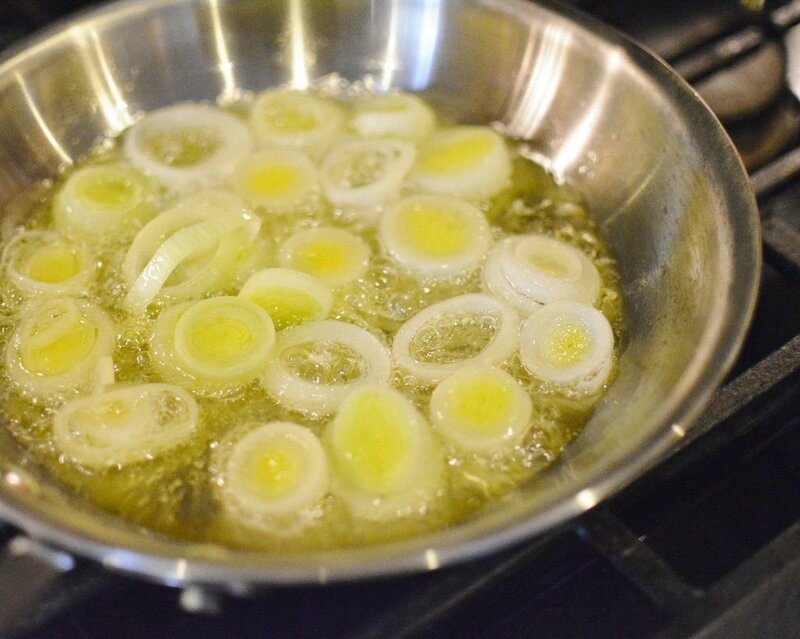 For dressing, add olive oil and leeks to a small sauce pan over medium heat. Cook until leeks are slightly tender, about 3 minutes. Add honey and salt and pepper to taste. Pour warm dressing over vegetable/farro mixture and mix well. Serve warm.